UniTest® PLT enable to import data from well production logs, making different channels for each registered magnitude. Such channels are gamma ray, CCL, pressure, temperature, density, capacitance, spinner and cable velocity. 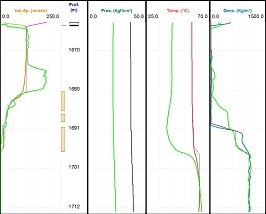 UniTest® PTA quick and easy pressure transient analysis since software enable to develop PVT fluid models, reservoir models and wellbore models. 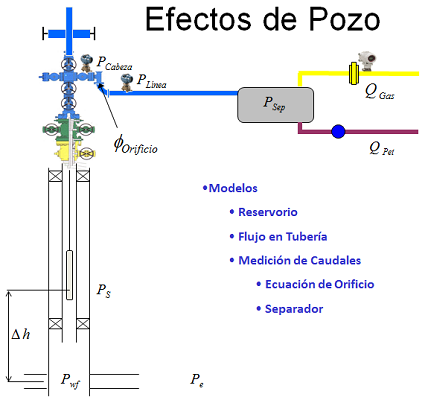 Also provides dynamic nodal analysis and IPR and Outflow calculations. UniTest® RDA enable to simulate real production of each layer from well production history. 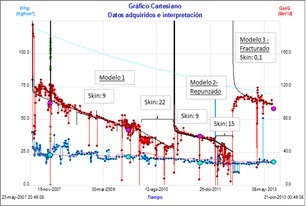 The software uses decline type curves (Fetkovich's type curves) to resolve determined or undetermined (lack of layer production information) systems by applying certain restrictions.